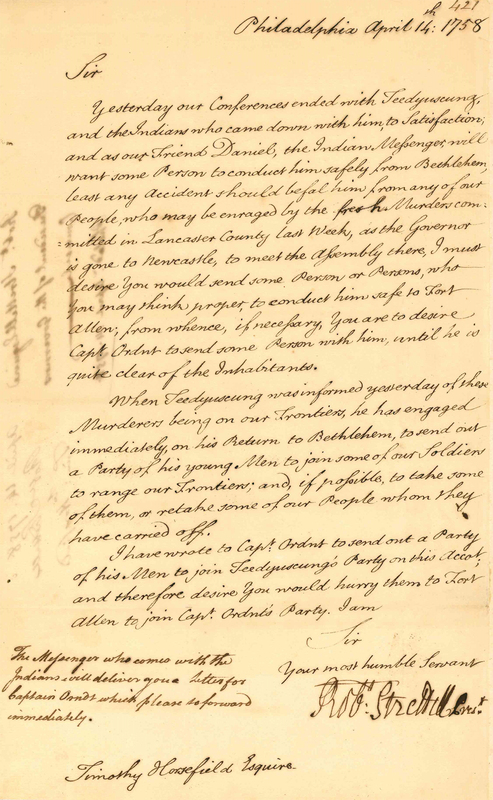 The Horsfield Papers offer a window onto the tumultuous history of northeastern Pennsylvania during the 1750s and 1760s. 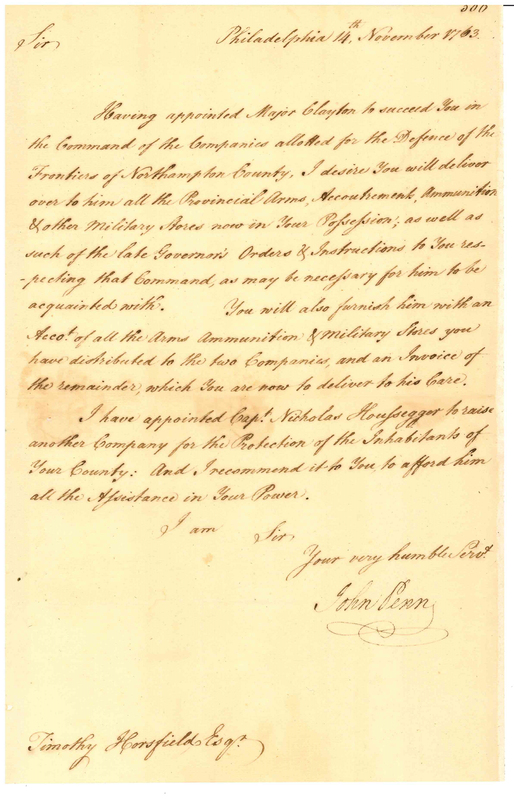 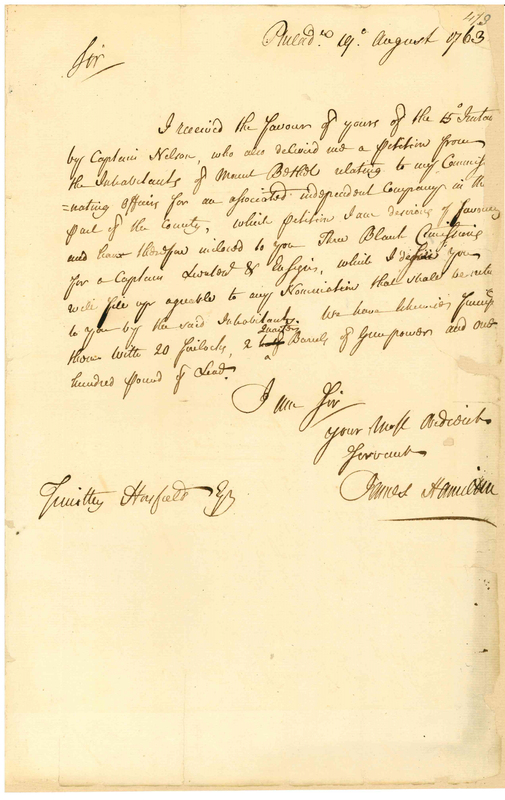 Comprised largely of correspondence and related documents between Horsfield, William Parsons, and provincial and military authorities, the collection includes important information on the Indian assaults on the region in 1756 and 1757 and the military and diplomatic response. 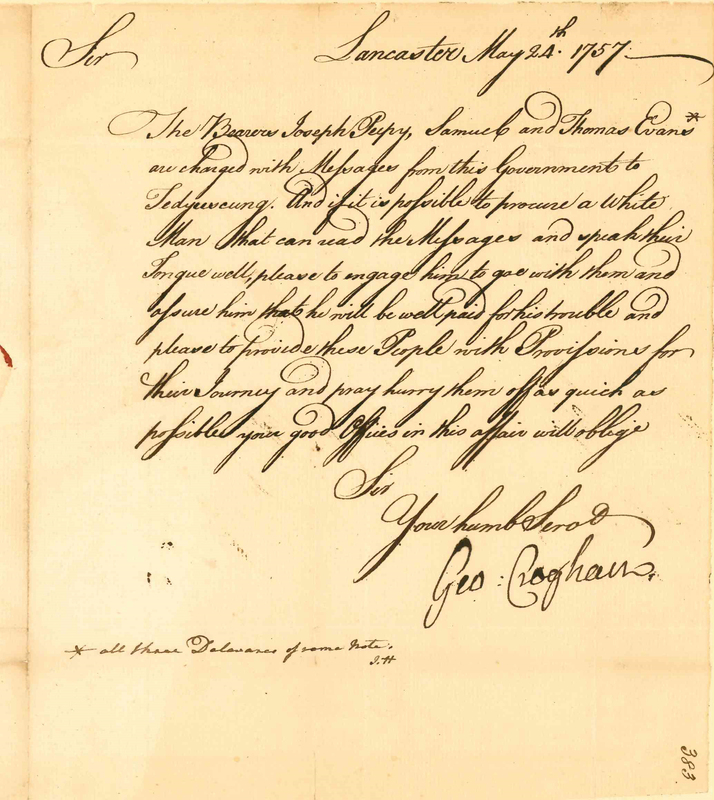 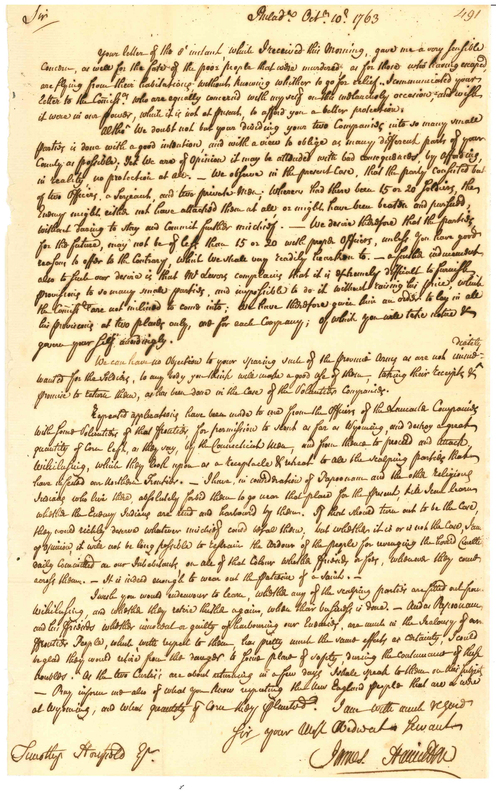 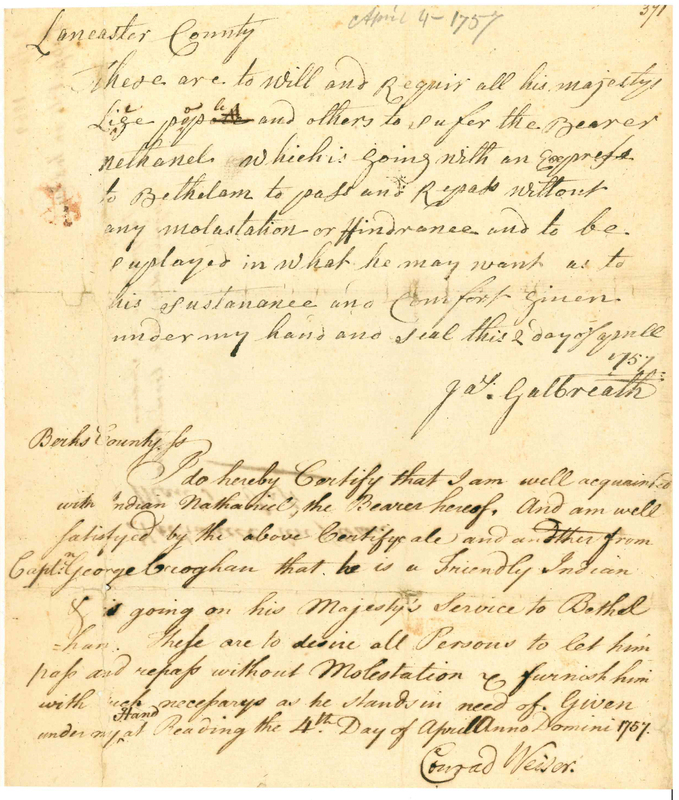 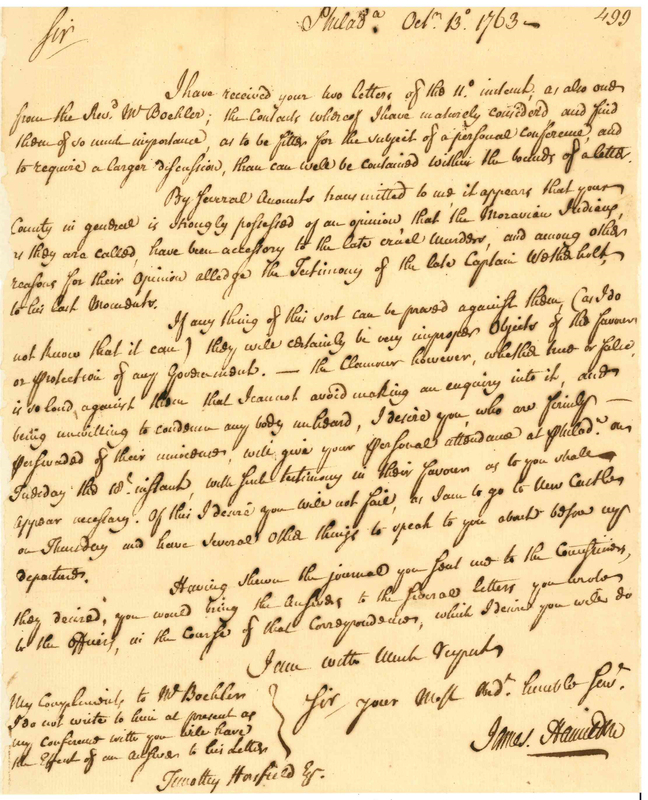 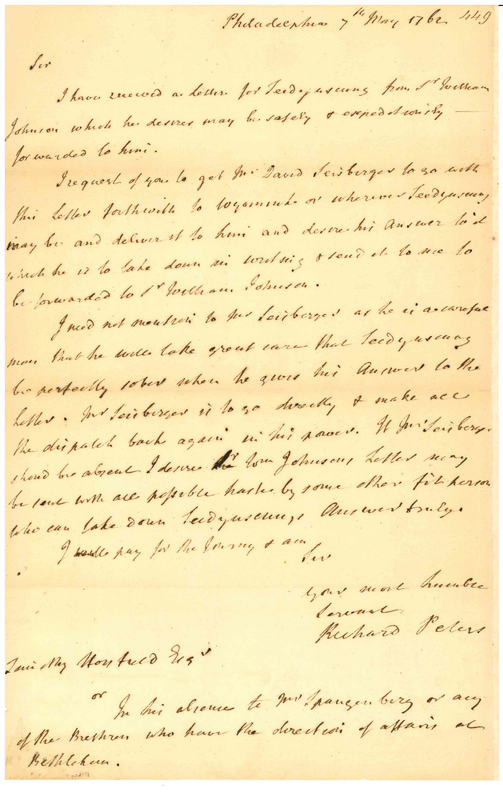 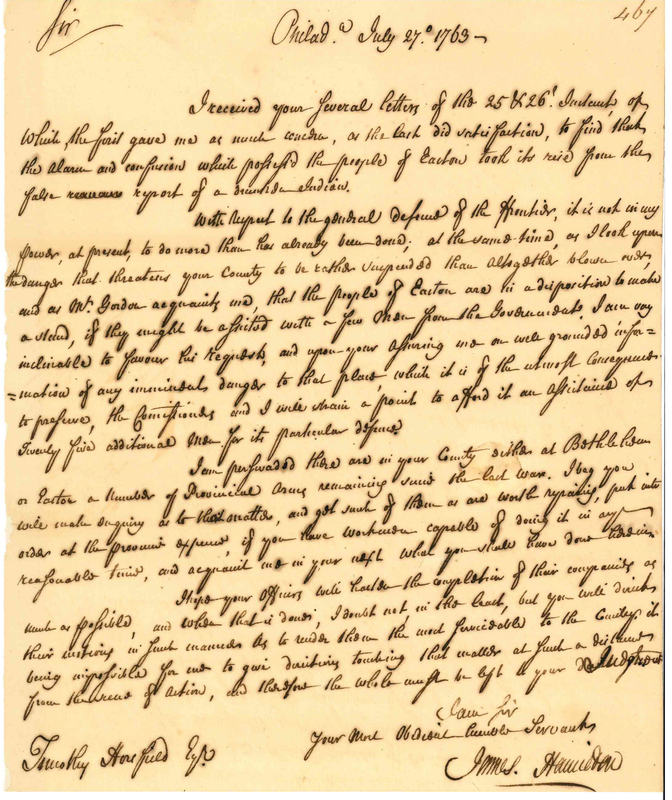 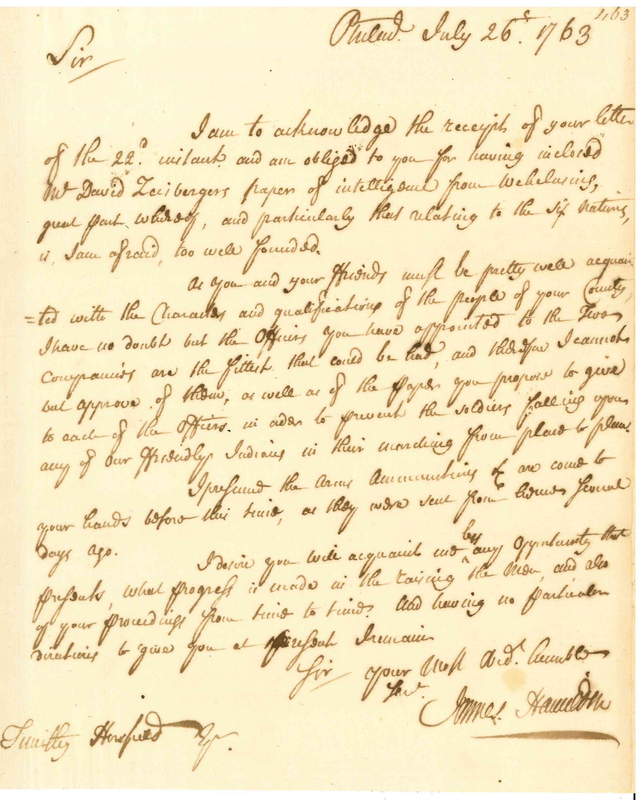 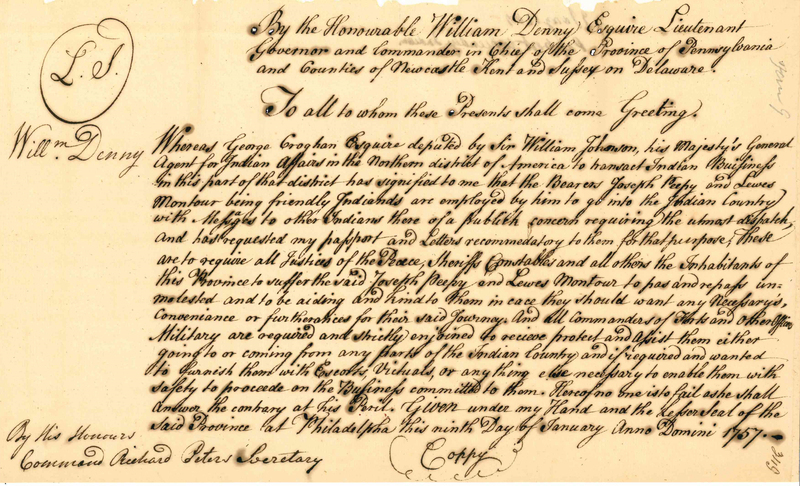 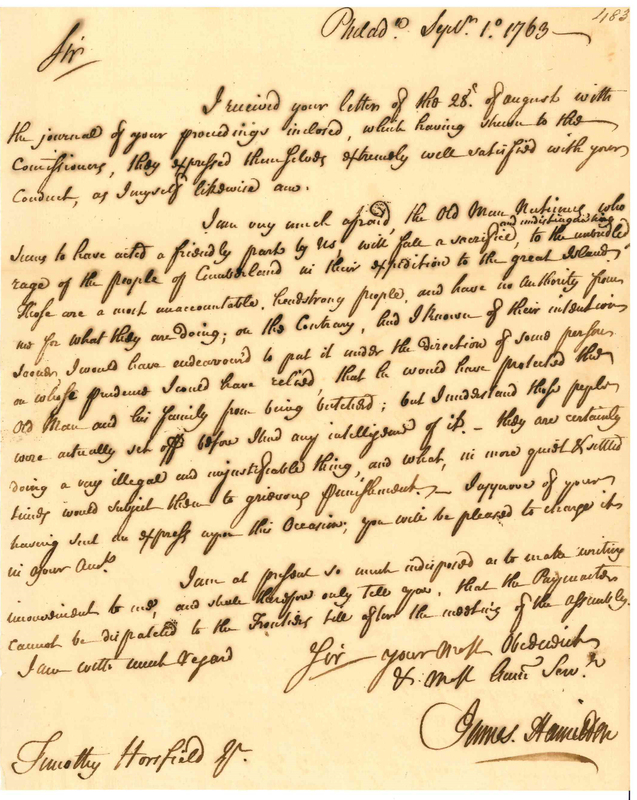 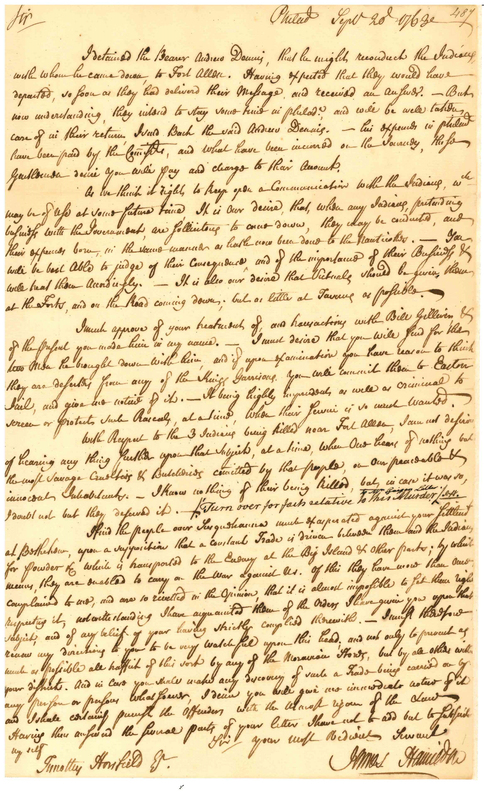 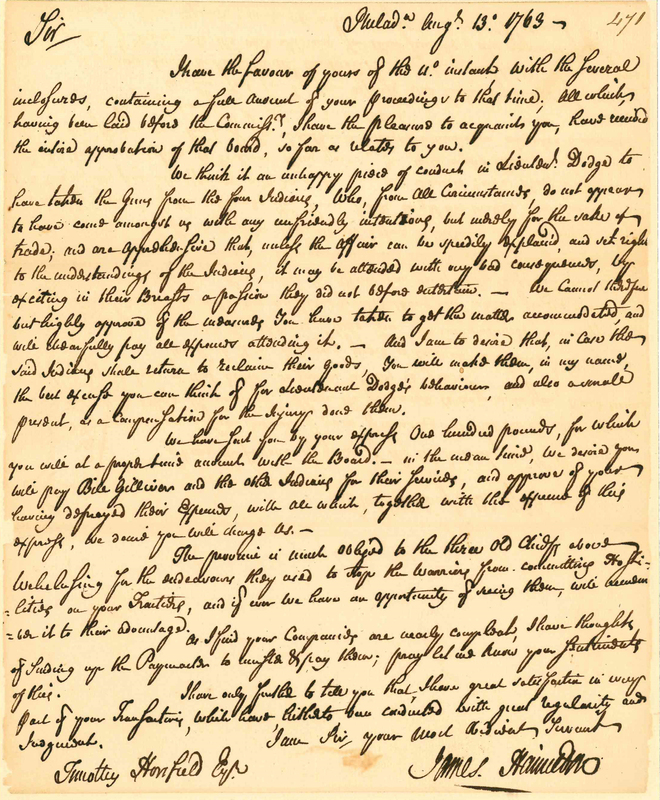 This pathway curates more than two-dozen manuscripts related to the Seven Years' War and Pontiac's Rebellion--just a fraction of the letters available at the American Philosophical Society. 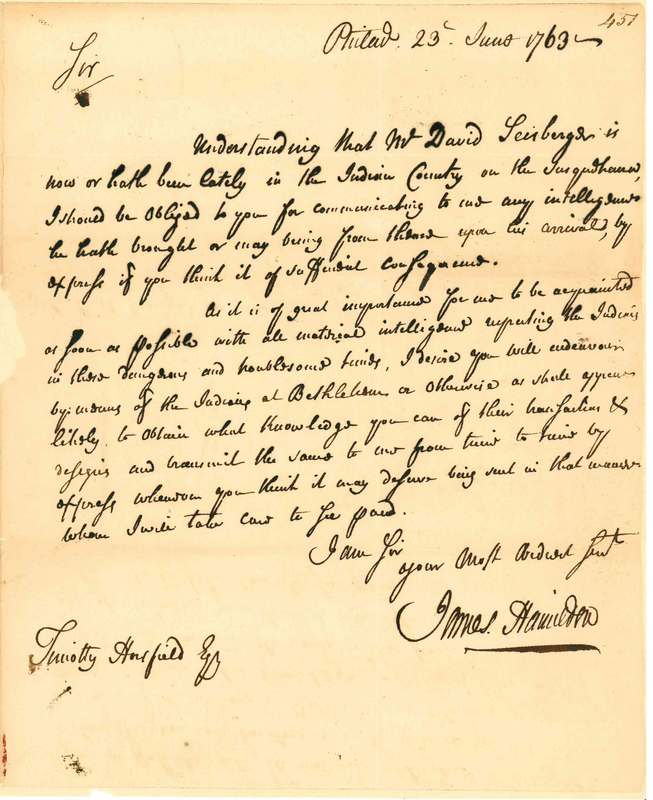 To explore the complete collection, reference the APS finding aid.